You frequently need to make it possible to select two linked objects in a process task form, for example, contracts with a certain customer. Let's take a look at how it is done. 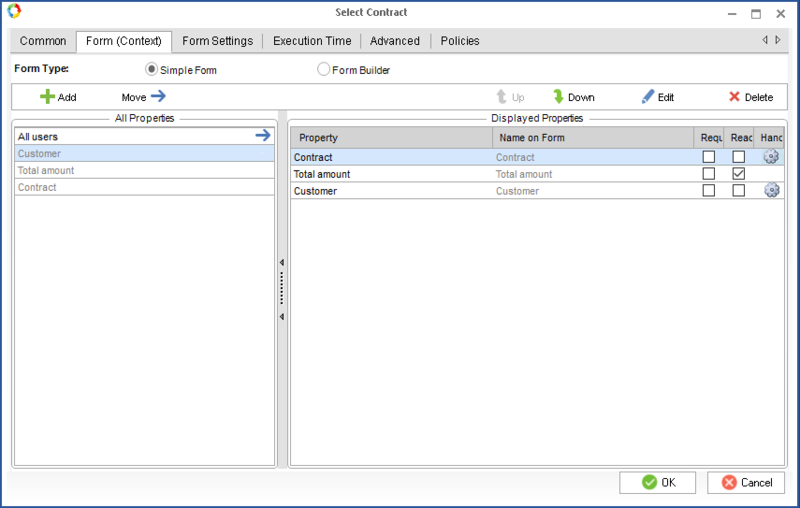 In the task form, you include a script that is called when the Customer type variable is modified. 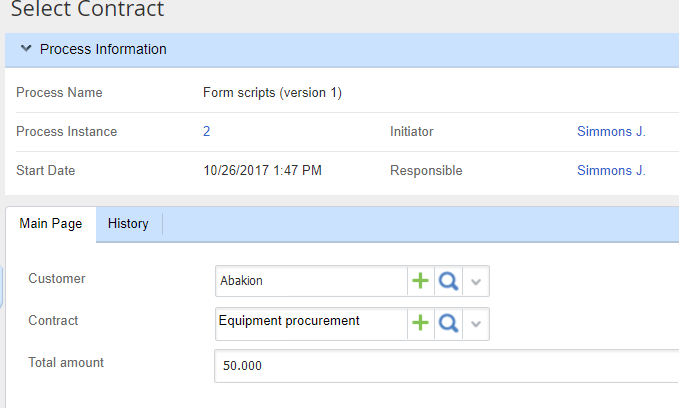 The script adds a filter to the Contracts context variable. During the process instance, it will be possible to select only the entries that pass through the filter.